The early bird gets the worm, or in this case, a seat on a Christmas flight. Booking late summer and early fall means getting exclusive deals with more savings, and extra perks. Learn More. The early bird gets the worm, or in this case, a seat on a Christmas flight. When it comes to cheap flights at Christmas, the sooner you book the better. It’s almost important to know high travel days. Waiting until the last minute won’t result in cheap Christmas flights, and you’ll not only pay higher prices, but have fewer options for flight times, seat selection, or might not be able to find a flight at all — especially if you’re confined to specific travel dates. Booking late summer and early fall means getting exclusive deals with more savings, and extra perks — called early booking bonuses. 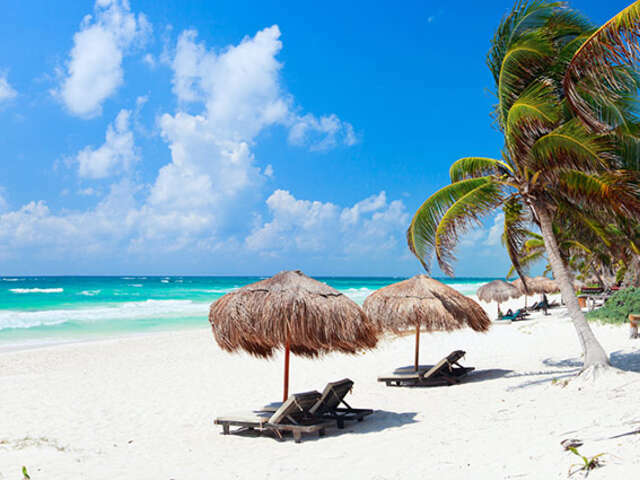 All-inclusive vacations for the winter months, especially during high travel periods like Christmas and Spring Break, tend to be cheaper with these early bonuses available through late summer and early fall. Booking early for an all-inclusive and cheap holiday package also means you’ll not only get the resort you’re hoping to visit, but also be able to travel when you want, with your top pick of hotel room or suite. Nervous about booking your Christmas flight months or weeks before the lights are glistening and the holly is hung? The last Friday before Christmas is the most popular holiday travel day, so work around your work schedule, family events, and children’s activities and try and book a flight early, avoiding this day if possible. Consider flying closer to Christmas Day, and staying later after Santa visits. For travellers nervous about snowstorms and missed connections, book flights with enough time to still catch your flight, even with de-icing and visits from Mother Nature. Being flexible with your dates also means considering early morning flights or late nights: oftentimes these flights aren’t the most desirable at Christmas for families, and you may have more luck with pricing or availability. If you’re looking to avoid the chaos of airports during the holiday season, with long lines and stressed travellers, consider flying on Christmas Day itself. Flying on Christmas Day, Thanksgiving Day, and New Year’s Day often means cheaper flights than the days leading up to the holidays, and fewer crowds and lines to get through security. If you’re okay with arriving late to the party, or willing to delay celebrations, flying on holidays can prove to save some cash and mean cheap Christmas flights.